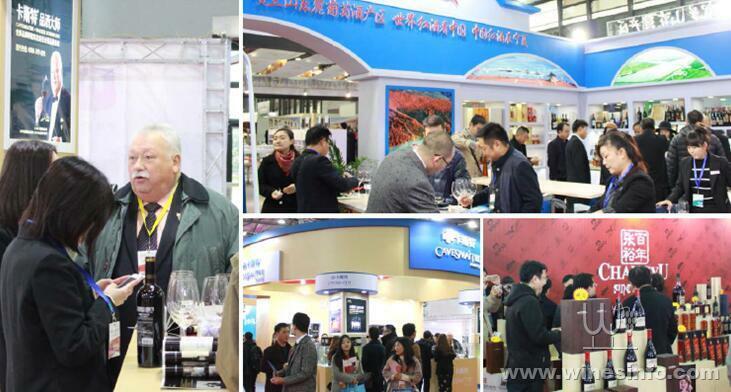 As one of the most professional purchasing fairs in Chinese import wine industry, Super Wine has been successfully held tens of editions in Shanghai with an exhibition area of more than 150,000 sq m，which has accumulated hundreds of thousands of first-rank wine suppliers and professional buyers. The previous events have attracted thousands of first-rank wine suppliers and tens of thousands of professional wine buyers from more than 40 countries and regions around the world coming to exhibit thousands of wines and spirits. 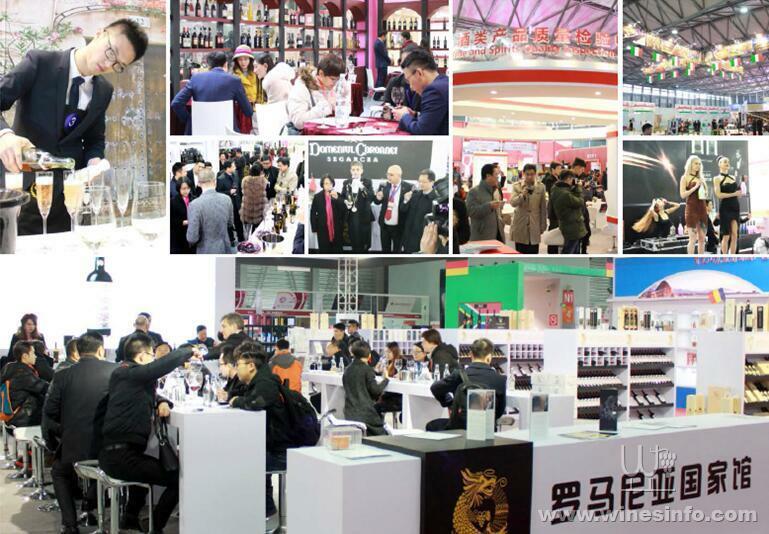 In this process, the fair has respectively received strongly support and active participation from Shanghai Wine Monopoly Bureau, Shanghai Association For Liquor and Sprits Circulation, Shanghai Drinks Association, Shanghai Import Food Enterprise Association, IFSP, Comité Champagne(CVIC),COGNAC, Mexico Tequila Association, Hong Kong Wine Merchants’ Chamber of Commerce as well as numerous Embassies and Consulates, etc. domestic and overseas GOVs and related industry organizations. Meanwhile, the fair also attracted the attention from international organizations of France, Germany, Italy, Spain, Chile, South Africa, United States, Argentina, Portugal and Australia to participate in by National pavilions. More and more international industry associations expect to bring more high quality wine & spirits to China market with the help of this display window and trade platform of Shanghai in order to strive for larger market shares and meet huge consumer’s demands.In order to build up a promotion, display and cooperation platform and provide a better approach of marketing and sales for wine enterprises at home and abroad, Golden Commercial and alcoholic drink authorities are scheduled to hold “The 19th Shanghai International Wine & Spirits Exhibition 2018” on May 14-16, 2018 in National Exhibition and Convention Center (Shanghai). Aiming to provide a green channel and cooperation platform to help overseas wine and liquor enterprises to enter Chinese market, this event will become a must-come event of China imported wine, as well as a good opportunity for domestic and foreign alcohol drink industry enterprises to set up their brand images during the Super Wine 2017 to achieve its corporate sales objectives and expand China's wine market share. led by China Food Industry Association (Expert Committee on Wine & Cider),Which has invited many international well-known wine experts expert jury to jointly set out Chinese wine value evaluation system, has initiated a new Chinese scoring mechanism and evaluation system in the history of the World Wine Awards. CWE has attracted tens of thousands of world wine producers and chateaus from more than 40 countries and regions to participated in. With strict contest standards and impartial competition mechanism, CWE aims to build international quality wine exchange platform for each participants, in order to seek for selected wines worldwide specially for Chinese consumer tastes as well as promote the development of wine culture in China. China Rating System for Global Wine (CWE) is Chinese wine evaluating system which established by China National Food Industry Association & China Top Wine Committee (CNFIA) and based on manyyears research of Chinese consumers and Chinese wine market, considering consumers wine drinking habits and Chinese food cultures, At present, CWE is the only one wine rating system in China. The goal is to help consumers to gainwine knowledge and help producers/importers to better understand Chinese consumers and its wine market.WinEvaluator is the exclusive official authorized organization to promote and operate CWE globally. · 5.0-6.9 points:Good suitable for daily drinking. · Below 5 points :Not recommended. Each standard booth consists of 3-sided white partitions, bilingual fascia board, 1 information counter, 2 folding chairs,fully-floored carpet, 2 arm spotlights, 1 220V/5A power socket and 1 wastebasket. And wine glasses, ice cubes, a ice bucket andcleaning service are free. For overseas enterprises: USD 480.00/Sq.m. Note: The raw space (minimum 36 sq.m.) only supplies a show space excluding stand frames, showequipment, carpet and power supply, etc. retail outlets, duty-free shops, night market, high-end clubs, etc. ?Wine traders and retailers: Importers, Dealer, wholesalers, sales representatives, professional retailers, professional super-chain stores, ect. ?General Merchandise Stores and Ordinary Supermarkets: GMS and ordinary supermarket purchasing centers, drink purchasing managers, wine sales managers, GMS and ordinary supermarket managers. ?Cafe, Hotel and Restaurants: All kinds of hotels, night clubs and restaurants (Catering manager, sommelier), chain restaurants and chain hotels,ect. ?Duty free operation lines: duty free operators, ship tools merchants, duty free shops, airline companies with purchasing centers, Cruise and ferry companies with purchasing centers. ?E-Business lines: Wine and spirits website designers and buyers, ect.